Finding a good car repair facility can be overwhelming, but it’s much more important to choose expert mechanics that you feel ease to work with. Here is a checklist of what vehicle owners should look for when they need a reliable car repair workshop. The mechanics should have a high level of competence in providing car service. They must be certified and have a fair amount of experience working on similar cars. The staff must be in a position to answer all of your queries quickly and courteously. You must also give consideration to their labor rates, payment methods, quality of their diagnostic and testing work, guarantees and other crucial aspects before entrusting your vehicle. Look for a car repair service that is specialized in the brand of your car. They must have all the latest equipment and tools to fix your vehicle quickly and safely. Whether you need a manufacturer scheduled log book service or a roadworthy certificate for your vehicle, the auto shop you choose should be able to meet your needs efficiently. The auto repair facility should offer you a solid guarantee on their services, so that you are confident every time you drive. Find out whether the repair shop has a specialist to deal with complex repairs such as engine & transmission repair, brakes & clutches repair and so on. You can call some of their past customers and inquire about their service quality. The reputation of the mechanic reflects on the effectiveness of the service. We all love One-stop solutions. Choosing an auto repair shop that could give extra services is an added advantage. Shops that can provide services such as car battery, car audio installation, car detailing, upholstery and other things can give major advantage to car owners. These types of car repair shops could serve as a one-stop shop and cater to all your automotive needs. One of the most important parameters, before you pay for these services, you must get a written estimate for the parts and labor. The experts should take you to every step of the repair process and seek your information before making any additional repair. When it comes to replacements, make sure that they install original, high quality parts on your car. 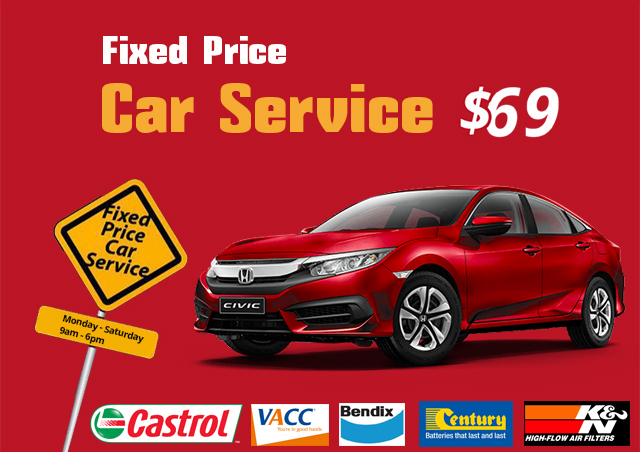 Star Auto Group has been providing car repair, panel beating & smash repair services to vehicle owners from all over Victoria. We do everything to ensure longer life to your vehicle, more savings and the confidence to drive, each time! For appointments, give us a call on 03 9366 3067 today.